Winter Haven MHC is a premier manufactured home community with an inviting country setting in the heart of Polk County’s Chain of Lakes. Our Clubhouses feature a comfortable events center, a well-stocked library, billiards and organized activities for socializing. Sit next to the community lake and watch the sunset! 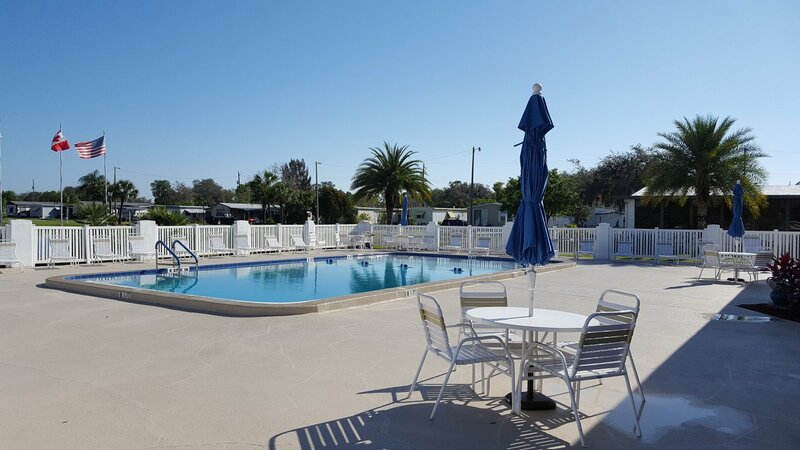 On-site amenities also include a swimming pool with sundeck, shuffleboard courts, horseshoes and RV storage. Winter Haven MHC is within an easy “swing” of several outstanding golf courses. Residents have their own golf league with a schedule of events and league play. The city of Winter Haven offers classes for tennis, golf, swimming, senior football and more. This unique region of inter-connected lakes makes water skiing, fishing or boating popular activities. Nature lovers will delight in the variety of flora and fauna – from majestic cypress trees and blooming azaleas to egrets, osprey and otters. For your day-to-day shopping, Publix, Winn Dixie and Wal Mart are conveniently located within 5 miles of your home. Historic and charming downtown Winter Haven is an eclectic mix of small shops and antique stores. Additionally, Eagle Ridge Mall (11 miles) and the Citi-Centre Complex (5 miles) feature nationally recognized retailers such as Macy’s, Dillards, and JC Penney. Winter Haven Hospital, an affiliate of the University of Florida College of Medicine, is noted for excellence in health care services and is approximately 14 miles from your home. Heart of Florida Regional Medical Center (20 miles) and Lake Wales Medical Center in Lake Wales is another excellent health care option (25 miles).